We are excited to announce that Fränk Schleck will be riding in the inaugural edition of the Haute Route Alpe d’Huez in July! Fränk is a 5 time national champion of Luxembourg, winner of the 2006 Amstel Gold Race, 2010 Tour de Suisse and a stage of the Tour atop Alpe d’Huez in 2006. Before he joins the Haute Route peloton for the inaugural edition of this 3-day event, we talked to Fränk about his love of cycling, what his retirement from the pro-Peloton is looking like, and how to take on the famous climb up Alpe d’Huez. Haute Route: Hi Fränk, thanks for taking the time to talk to us today. We’re looking forward to welcoming you on Alpe d’Huez in July. Fränk Schleck Hi, my pleasure, really looking forward to joining your riders this summer. HR: So Fränk, what attracted you to riding the Haute Route Alpe d’Huez? FS: Well, I’d been following the progress of the Haute Route these past couple of years, and when you announced an event on Alpe d’Huez I thought it would a great one to ride. 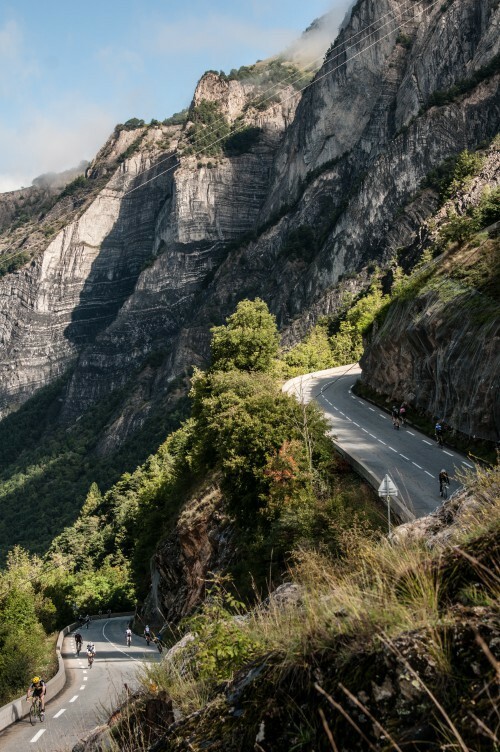 It’s a legendary climb; everyone knows it for its 21 switchback turns and epic Tour de France stages. The Alpe d’Huez climb is one of the most mythical climbs for cyclists all over the world, for me it’s right up there with the giants like Ventoux, Tourmalet and Galibier. I can vividly remember the first time I rode it, I was 12 years old and was there to watch the Tour. The atmosphere gave me goose bumps, and made me want to ride it over and over again. HR: We can’t argue with that, happy to have you amongst us! What is it that draws you towards an event like the Haute Route, you must have ridden all of our cols already as a professional. FS: At heart I’m really just a cycling fan, and I love sharing my passion of cycling with others. To be able to come back to the Alpe on the Haute Route, where I won a TDF stage in 2006, and to ride and share the road with others it’s a great opportunity to spend time with other cycling fans. Events like this are about sharing your love of the sport, suffering together, and enjoying yourself at the same time with like-minded people. HR: We couldn’t agree more! We hear that since retiring you also created your own Gran Fondo! What motivated you to do this? 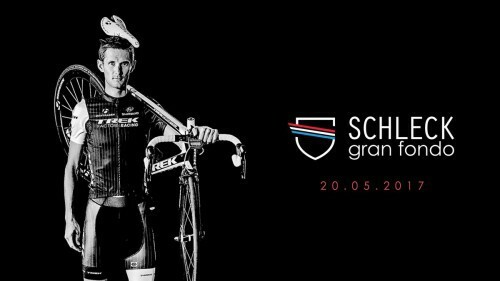 FS: Yes, the inaugural Schleck GranFondo will be held in my hometown of Mondorf les bains, in Luxembourg on the 20th of May. Having been a pro rider for many years, I wanted this to be an opportunity to share my experiences, my passion and my training roads with other cyclists from around the world. It’s also an opportunity for people to discover the beautiful cycling roads that my home nation has to offer. By organising this Gran Fondo I also wanted to promote healthy living whereby people can get fitter by riding their bike. Moreover, in a world where pollution is becoming more and more of an issue, I wanted to continue promoting the use of the bicycle as it’s a means of transport that can take you from A to B without any carbon emissions. Cyclists can come ride my GF for the competition at the front of the race, to test their limits in the hills of Luxembourg or simply to enjoy a nice ride. Being part of the World Series means there is also an opportunity to qualify for the GF World Championships held in Albi later this year. On top of all this, being in the center of Europe means Luxembourg is very accessible; I’m looking forward to welcoming riders in my hometown this May! HR: That sounds great, I’m sure some of our riders will come out and ride it to prepare for this summer. Would the course provide a good test for riders training for the Haute Route? FS: Absolutely, not only will they be able to practice riding in a peloton, but the hilly nature of Luxembourg’s roads means they can get some valuable altitude gain in their legs! Luxembourg doesn’t have long climbs like the Alpe d’Huez, but these are the roads where I did my hill-rep sessions prior to winning on the Alpe back in 2006. HR: Sounds like a winning formula. Schleck GF in May, Alpe d’Huez in July and a full Haute Route week in August! Turning our attention back to Alpe d’Huez though, how would you recommend people approach the climb? FS: My motto if I was racing the Schleck GF or the Alpe d’Huez on the Haute Route would be “Start hard, accelerate in the middle and sprint to the finish.” It might not be very scientific, or the best idea for everyone, but it’s simple and straightforward. For those trying to just enjoy it, avoid going into the red on the lower part of the climb, which incidentally is the steepest, manage you effort across the 21 switchbacks. At the summit you can enjoy your achievement and you’ll have a smile on your face. Above all though, I would say that it is important to enjoy your time on the bike, these moments never last long enough and the memories can’t be bought for any amount of money. I’m looking forward to riding in the Haute Route peloton this July! HR: Thanks, before we let you go, any final remarks about the famous Alpe d’Huez climb? FS: Yes, don’t start counting the 21 switchbacks from the foot of the climb. Just ride your bike and enjoy it! 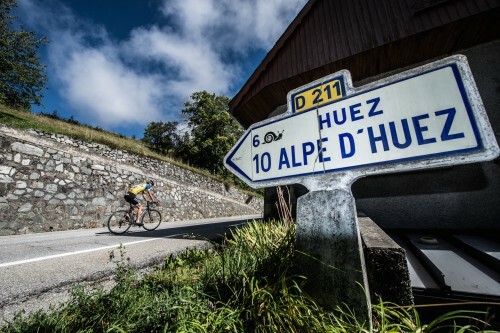 Register now for the inaugural Haute Route Alpe d’Huez! Just click here! To find out more about the Schleck Gran Fondo, head to the website here!